Karen Crouse on one Vermont town’s secret to happiness and excellence. Over the years, Failure magazine has reported from many different cities and towns, including Butte, Montana (whose most famous tourist attraction is the Berkeley Pit, a toxic waste site); Centralia, Pennsylvania (a near ghost town, thanks to an underground mine fire that has been burning, uninterrupted, since 1962), and Uravan, Colorado (a town that was razed and buried due to environmental contamination). But our latest coverage of a locality has a more positive and dignified backstory. Though Norwich, Vermont—located on the border of Vermont and New Hampshire—is arguably best-known for being home to the King Arthur Flour Company, it is gaining fame for having placed an athlete on every U.S. Winter Olympics team but one since 1984. Never mind the fact that it has also sent two athletes to the Summer Olympics. That’s a total of 11 Olympians, a remarkable track record for the charming New England town of approximately three-thousand residents. If you’re wondering what accounts for Norwich’s run of Olympic achievement, New York Times sportswriter Karen Crouse can tell you. 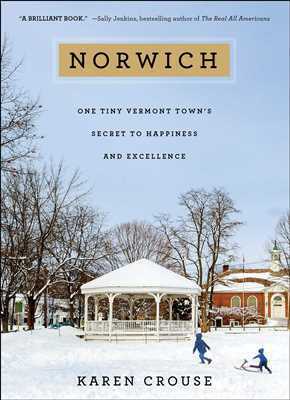 In her book, plaintively titled “Norwich: One Tiny Vermont Town’s Secret to Happiness and Excellence” (Simon & Schuster), she relates how Norwich’s “outsize success” isn’t due to the town’s (well) water. It “has more to do with the way [Norwich] collectively rears its children, helping them succeed without causing burnout or compromising their future happiness,” writes Crouse in the prologue. In the following Failure Interview, Crouse discusses Norwich’s counter-intuitive approach to sports culture, the lessons that parents and communities can learn from Norwich’s collective experience, and the feedback she has received from residents in the wake of the book’s publication. How did you get the idea for “Norwich”? I was at the Sochi Olympics and I got this random email from a [New York Times] reader saying,’ I noticed you’re at the Olympics; you should do a story on Hannah Kearney. She’s from a town in Vermont that has put an Olympian on every U.S. Olympic team since 1984.’ I didn’t even know who Hannah Kearney was; I was assigned to hockey. If the person wasn’t wearing skates and carrying a stick I didn’t know who they were. After Sochi I did some cursory research, enough to know that Norwich did have this pipeline; it wasn’t exactly as it had been portrayed in the reader’s email but close enough. Then I went to Vermont in the fall of 2014. I had never stepped foot in the state before, but within a day in Norwich I felt as if I understood this little town in a way that made no sense if you look at my background. I’m a California-raised city slicker from the New York Times, but Norwich reminded me so much of the Santa Clara of my youth. And I understood the Olympic pipeline because growing up in Santa Clara in the 1970s we had Santa Clara Swim Club, which was a very productive pipeline to Olympics at the time. It was a really weird experience to land in a state where I had never before set foot and within 24 hours I felt perfectly at home. But that’s what happened. What accounts for Norwich sending so many athletes to the Olympics? They do it by accident, which is really the crux of it. They don’t set out to raise Olympians; it’s not like it’s any kind of sports factory. They look at sports as just one piece of the overall development of a person—a really fun way to develop lasting friendships and to learn life lessons like resilience, discipline, delayed gratification, being coachable, taking direction well, learning to fail, and getting back up after you fail. That’s what they see as the endgame of sports. An Olympic berth or a pro career or a college scholarship, that’s almost the icing on the cake for them. I think that’s the beauty of what they do there. They have these intrinsic goals that have led to extrinsic success. In terms of sports culture, the conventional wisdom is for young people to specialize in one sport, but in Norwich they take a different approach. That was what I found really interesting. In my field, I have access to athletes in all different sports, and I’ve always felt a disconnect between what parents are told is the best path to athletic success and the practical stories and experiences that I see in the field. In football, basketball, hockey, and golf—the sports that I’ve covered—I would say that well over fifty percent of the top performers were multi-sport athletes as kids, and as kids, I mean before thirteen. The age of thirteen is when a lot of these athletes—for one reason or another—choose one particular sport. The working model makes this the rule rather than the exception and yet, for whatever reason, parents get the idea that their kids need to specialize early on if they want to get a leg up on everybody else. If you look at the research, it suggests that early specialization is detrimental to overall development. It leads to more injuries and there’s a greater chance of emotional burnout. Because kids’ muscles and joints are still developing, they should not be working one or a few joints over and over and over. It’s a recipe for repetitive injuries. So that’s the argument for a less specialized childhood—you are giving your kids a chance to grow into their bodies without stressing any one particular joint or limb. That’s what a lot of orthopedic surgeons are trying to tell parents: Let your child have a multidimensional childhood because there is a carryover effect once they choose one activity in particular. Is Norwich known for anything else besides producing Olympians? It’s across the Connecticut River from Dartmouth so it’s part of the fabric of the larger Dartmouth community. They will tell you that they have the best maple syrup anywhere. King Arthur Flour is also based there, which I didn’t know until I moved to the town. They have a lot of tourist traffic going to King Arthur, where there are classes and even a baking school on the premises. Do you have a favorite Olympian who hails from Norwich? It’s funny because people have asked me that and I don’t want to give that trite response that every Olympian was like a child to me and I don’t have a favorite. Each chapter of the book focuses on a different Olympian, and I like each chapter for different reasons. I love the vulnerability of Hannah Kearney; I could relate to her the most. She was so hard on herself and so driven. She looked at a second place finish as a failure and the town—when she got that way—was there to pick her up and give her perspective, which is easy to lose when you are an elite athlete and it’s drilled into you that second place is the first loser. Whenever Hannah would get too down on herself or expect too much of herself, the town was there to say, ‘Hey, we are so proud of you. We think that what you are doing is amazing and for you to be representing us on the world stage is a feat in and of itself.’ I love that Norwich was always giving her that much needed broader perspective, and that it was always there to pick her up when she failed. She had a large social safety net that the town provided. But how can you not like the story of Andrew Wheating, a young man who ran his first track race as a high school senior and was on a U.S. Olympic team three summers later. That feels like the kind of Cinderella story that you don’t think is possible in this day and age of the early specialization model. I thought his story was valuable in that it showed how he had learned valuable things from other sports that he never imagined would be applicable to running. [For example], playing basketball and jostling with people under the basket prepared him well for being in a pack of runners, gaining separation from that pack, being able to keep his balance and keep from getting jostled in a way that took him off stride. You have a lesson at the beginning of each chapter. What is the overriding lesson of the book? We as a country have looked at sports as a zero-sum game where in order for me to succeed you must fail. The lesson to be taken from “Norwich” is that it doesn’t have to be that way. 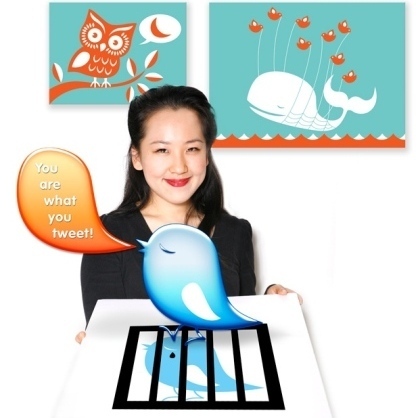 You can be competitive but also have this communitarian spirit and realize that you can make me better and I can make you better and together we can lift everybody’s performance. The Mike Holland chapter really drives home that point. Jeff Hastings and Mike Holland were two ski jumpers. Jeff started things and then he brought in Mike and then Mike brought in other people and then pretty soon they had this community of kids who were inspired by one another to work harder and aspire higher. I also talked to Tim Tetreault, who was a Nordic combined athlete but probably would never have become a ski jumper—one-half of the Nordic combined event—if not for the encouragement of other kids. When he was really scared to go down the 18-meter hill they kept encouraging him. Then he was at a crossroads when he finished high school and was ready to make the leap to national competition. The rub was he was going to a college where he could not compete in ski jumping or cross country. What should he do? Go to college and concentrate on school or try to juggle sports and school? He was having this internal conversation and out of the blue a postcard arrived from Mike Holland, who was in the midst of his last World Cup season in Europe. It was a two-sentence message on a postcard that made all the difference to Tim. He took it as a sign. Mike had no idea that Tim was even battling with whether he should continue the sport. This simple act of generosity of one athlete taking five minutes out of his day to send a message back home inspired him to keep on going and he made three Olympic teams. So you don’t have to look at everyone as a rival; even as you are competing a rival can be inspiring you and helping you to get better. What kind of feedback have you received from residents of Norwich since the book was published? Of course she was joking but that’s the thing—the idea that you have to be this helicopter parent hovering over your child and trying to control every step of their path so that no harm is done is not the Norwich way. Mrs. Wheating and her husband gave Andrew and their other two children wide berths to discover their own paths. As you and I know, as an adult you can’t move forward until you fall down a couple times and get up and figure out what you did wrong. I love the message that is starting to get out there more—the message being propagated by elite athletes that failure is a rung on the ladder of success, a very necessary rung. When you look at sports as a zero-sum game where the only thing that matters is the outcome, that’s going to keep people from trying because that sets up failure as the predicted outcome. But if you just make it this process where it’s about self-improvement and self-discovery and making friends and developing life lessons then it becomes this more intrinsic exercise. Then the end results are almost an ancillary benefit, as opposed to the whole reason for doing the activity. I think it’s so important to know that Norwich has “no cut” [sports] leagues, so kids are receiving the message that it doesn’t matter what your skill level is. I look at the cities that have a defined number of kids in each sport and only the best are able to participate—even at the rec level—and that’s a subliminal message that if you aren’t good at something, don’t even bother trying. That is not positive or helpful for any child because life is going to be filled with far more failures than successes. Sometimes the failures themselves become teaching moments and also there is a lot that you learn about yourself in those moments. I think that for whatever reason, parents have this idea … it’s Malcolm Gladwell’s idea that you need 10,000 hours to develop mastery in something. But I think that’s looking from the very start at the end result. If people take nothing else from this book, it’s the idea that you can shift our perspective of what success looks like. You look at these Norwich athletes and they have achieved success at the highest level, but I would say that aside from the bigger picture, they were looking at the smaller picture and looking at: What am I learning about myself? What am I gaining every day from this activity that is not going to show up in the results? If we can shift our perspective of success, collectively, in the youth sports culture, we can develop Norwiches everywhere. Total Recall—Remembering the 2003 USA Memory Championship. Walk This Way—Dan Burden and Walkable Communities.